If you're looking for a practical family hatch that's dependable and nicely styled, the Nissan Almera ticks all the boxes. The model's interior is functional and comfortable, while the steering is precise and the engine is punchy enough at higher revs. 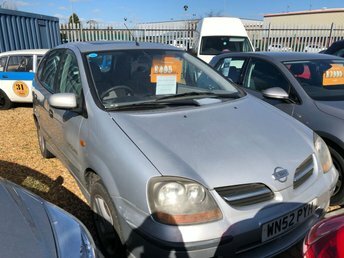 Here at Brooklands Quality Cars you'll find an excellent selection of used Nissan Almera models for sale in Corby, all of which have been thoroughly tested by a trained technician before going on sale. You can view our complete lineup here on the website and be sure to get in touch with a member of the showroom team if you have any questions or are ready to arrange a test drive.